The Hungarian-born painter László Moholy-Nagy was a leading figure in twentieth-century art for his experiments with light and time, which were widely disseminated through his work as an educator first in Europe and later in the United States. 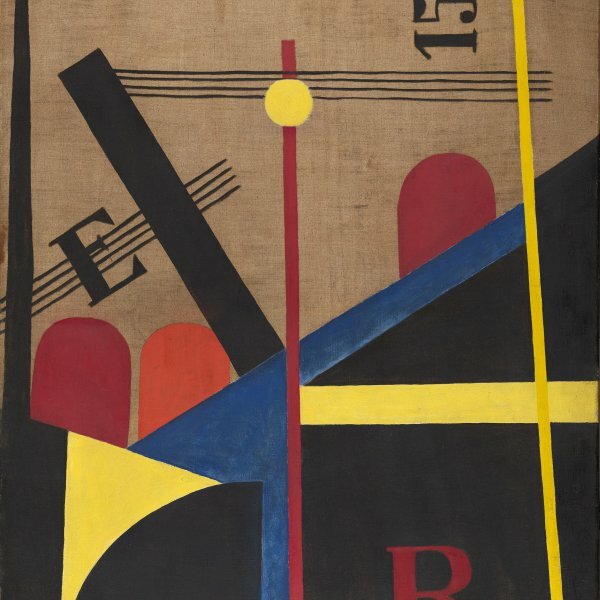 Moholy-Nagy discovered painting after being wounded in the First World War and from this point onwards experimented unceasingly with all kinds of artistic genres. He was especially interested in phenomena of light, which he studied in his photograms and films. During his youth in Budapest, Moholy-Nagy frequented the company of the group of artists connected with the MA magazine, as a result of which his compositions adopted Cubist and Futurist forms. In 1919 he fled his country following the fall of the short-lived Conciliar Republic, and took up residence in Berlin after spending a few weeks in Vienna. There he met Kurt Schwitters and other Dadaists, as well as representatives of the Russian avant-gardes and the artists of De Stijl, in whose magazine he published an article in 1921. The intense creative activity of Berlin was reflected in his new abstract compositions, collages and photomontages. The gallery Der Sturm exhibited his work in various German cities during 1922 and in 1923 he became involved with the Weimar Bauhaus, where he began to work as a lecturer. He remained there until 1928, moving to Dessau with the school in 1925. In this period he combined teaching and writing with designing everyday objects and photography. The new political situation triggered by the rise to power of the National Socialist party drove Moholy-Nagy to move to London in 1935 and to Chicago in 1937. There he had the opportunity to become the director of the New Bauhaus, which opened at the end of the year. In 1939 he established a new centre, the School of Design, with the teaching staff from the New Bauhaus. After being granted university status, it came to be called the Institute of Design in 1944.